This time travel mystery is based on the author&#x2019;s belief that Christopher Columbus discovered America on a secret first voyage that took place before his official and well documented voyage of 1492. 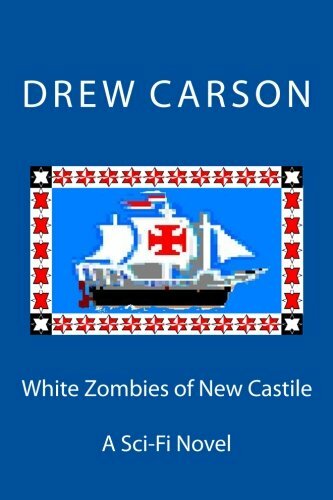 No other interpretation, says the author, who has studied the life of Columbus over a period of many years, explains all the known mysteries, queries and questions regarding Columbus and his fraudulent claim of discovery under the flag of Castile. This is the mystery of the man who stole two continents, North and South America, in two different ways &#x2013; (1) legally from his former sovereign and (2) physically from its former owners the Amerindians. The story is told from the point of view of Dr. Solomon Cohen, who tells the story of how he and close friend, the Antiquarian, time travel back to 1500 A.D. where they sail the Spanish Main. There they investigate the alleged crimes of Columbus, who was at that time Viceroy and Governor of the New World as well as Admiral of the Atlantic. All characters, and major situations, although based on true life, have been entirely fictionalized. In this time travel mystery, do the Antiquarian and his friend, solve the mysteries of the great explorer? Well, it&#x2019;s a strange story . . .
Sam Drew Carson was born in the North of Ireland and educated there at Wellington College and the Ulster Polytechnic. He completed his education in the USA at New Mexico Highlands University and the University of Arkansas and has traveled widely in North America, around the Atlantic and in Europe. Drew worked as a seaman and fish-gutter in Vestmannaeyjar off the coast of Iceland. He lived and worked in the Irish and Western Isles Gaeltachts and was married in Welsh-speaking Carmarthen after which he honeymooned in Belfast. He has told his stories, composed and sung his songs, seeking storylines in Bristol and the English Westcountry. Drew has also lived and written in Nashville, Tennessee, in the wooded hills of Mid-America and from the Appalachians to the Ozarks. This was the culture that gave rise to the now worldwide Scotch-Irish country music. In the USA, he also worked beside the bayous of the French-speaking Cajuns in the South and among the Western Spanish-speaking Navajos, Apaches and Pueblos of the Sangre de Cristo Mountains in New Mexico. Drew has sailed far into the seas of old Gaelic and Oriental legend. After many years searching for inspiration for story and music, the author is still traveling and writing.